Zzzzaaaappp! that is the sound you would hear when you play this hero! 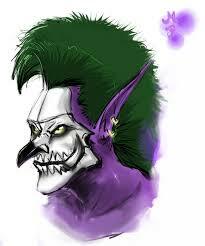 Dazzle is a kind of hero that is specialized in healing his friends and keep his friends alive. His abilitites are all designed to do just that. He have a wave of healing to heal all allies. And he also has a skill to prevent an ally from a death, And also he has a skill to increase his team's armor as well as reducing the opposing team's armor. Casts a poisonous spell on an enemy unit, causing damage and slowness over time, and eventual paralysis. Poison Touch mini-stuns on impact. At level 2, the slow increases after 1 second, and at levels 3 and 4, the target is stunned for 1 second after the slow. This skill is needed to initiate a gank. This skill will makes your opponent to slow down and receive some damage. Although this is not a superior skill, but it's still good to at least help chasing and also harassing the enemy. This skill is a very powerful skill that will makes your ally immune to death for 5 seconds. While receiving this buff, even in 0 HP enemy can't do anything to kill the target. What you need to do is: immediately cast this if you see your allies are in low Hp and you feel that he will be death soon. A healing Wave that deals some allies in the area and also damaging nearby opponents. Needed to keep your teammates alive during a teamfight. Applies a buff that increases allied hero armor or decreases enemy hero armor in the target area, changing armor by 1 every second. Upgradable by Aghanim's Scepter. Increase armor of allies and also reducing enemy's armor in the area. The increase/decrease of armor is not at once but gradually. Why take Shallow Grave for level 1? Eventually, enemy want's to get firstblood on level1, so if you meet one of those who wants to gwt that firstblood, you should immediately cast this to you or your allies to save him. Why maxed Poison Touch before Shallow Grave? im my opinion, a level 1 Shallow Grave is enough for early-mid game, a 60 seconds cooldown is enough so you can cast this everytime you see a red-Hp-ed ally. Or you may increase this to level 2 if you feel need more cast on this skill. Meanwhile, the Poison Touch is important for your team to slow down and also to set up a nice gank. You will need the DPS from the Poison Touch. 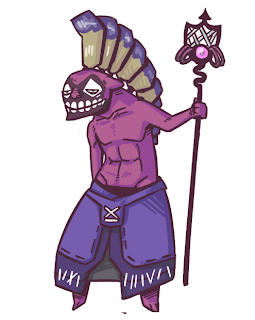 Dazzle is a utility hero, he usually needs to buy the courier for his team. And also don't forget to buy the wards. Noobs usually thinks that buying wards is not important, but that's 100% wrong. Ward is a must item for every team in DotA. You need vision from the ward to avoid being ganked by the enemy. On early game, what you need to do is to support your partner in lane by help him denying the creeps and also try your best to keep him alive by casting the Shadow Wave and also the Shallow Grave if something dangerous happening to your ally or yourself. If your team thinks you need a bit of farm, the Shadow Wave can helps you farming faster by killing damaging some creeps at once. If ganks happening to your team, that is your time to action! You are the savior for your team, you have 3 defensive spells to be casted to save your team in a gank. If you think the gank is too dangerous for your ally/ yourself, because of the potentially high burst damage, you must immediately cast the Shallow Grave to save your friend. If that is not so dangerous, you will have the time to cast your ultimate first, it will increase your allies armor to protect them during the clash, and also it will make enemy become squishy and helps your teamd eal more damage. Also remember to cast the Shadow Wave to helps your teammates alive and maybe can damaging enemy a little. If you sure that all allies is already 100% safe, you can be aggressive by casting the Poison Touch and start harassing your opponent. If your team's are the one that initiate a gank to the enemy team, first is to cast the Poison Touch and Weave and let your friends to the damaging things. you can also help by attacking the opponent, although your damage is not that good, but it will helps your team to kill enemies. On the late game, your presence become so much more important. Your team will need a man that can guarantee a 100% insurance for the team. And that is your job to do that. You must deliver a safety feel to your allies, to make sure no one will be death during the teamfight. 1. Comes to the teamfight, don't position your friends in front line of your line-up, because if you death, who will save your friends? 2. Immediately cast your ultimate, the Weave to increase ally's armor while also reducing enemy's. 6. If you have the Mekansm, cast it to recover allies health and keep them alive. That's it, be discipline and keep focusing. Stay calm during teamfight and click the rifght heroes for your Shallow Grave. Hope you will win your teamfight. And after your team won the teamfight, you can get the Aegis for your team's main hero or your team can push enemy base and destrouy their buildings. Choose wisely! And if your team's have bad luck and lose the teamfight, run immediately, use all you have to save yourself and your friends. If you have forcestaff use it to escape faster, and always use your skill whenever it's needed to save your allies. Blink Dagger is a perfect item for you for initiating purpose. This item will make you can jump straint in front of your target so you can stun them immediately to make a way for your team to knock your enemy down. In a teamfight, who initiate first is usually become the winnner of the fight. Why Schyte of Vyse? Very good item to initiate a teamfight. You are considered a support, and this item is one of the best supportive items you can get. Or you can use this to defend against somebody by making him become chicken. Why Aghanim's Scepter? With the increasing duration of your ultimate, you will make enemy more squishy while makes allies become tanks. They need more survivability in the teamfight, helps them!